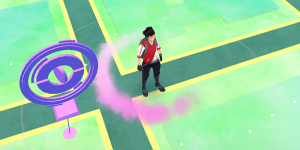 You are here: Home / Pokemon Go / What is a Pokemon Go Hyper Potion? 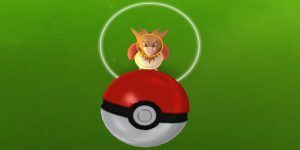 Unlike the classic Pokemon games like Pokemon Red and Blue, there are no Pokemon centers to automatically heal all your Pokemon in Pokemon Go. 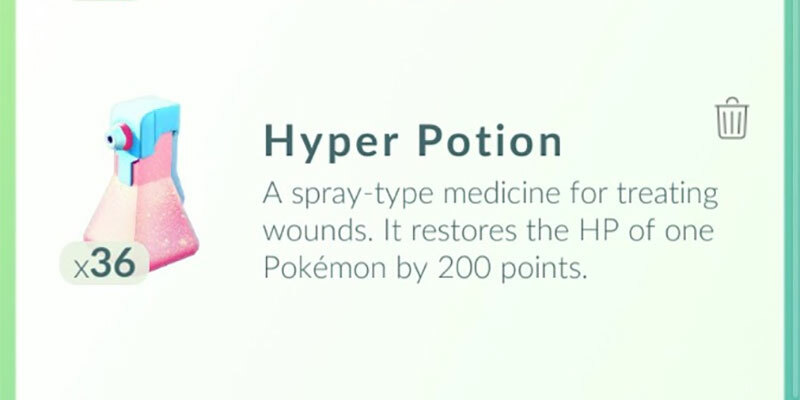 However, there are other means and other items trainers can use to heal their Pokemon. Among them is the hyper potion. There are many types of potion, each of which has their own healing potential. The hyper potion is one of its most powerful kinds, a type which can heal up to 200 HP per use. 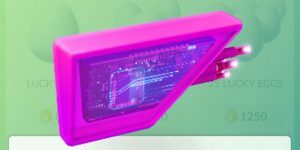 This is a great item to use during battle, a turning point that could turn the battle in your favor. 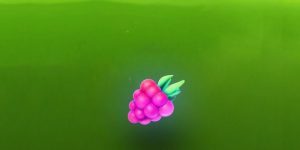 In this section, we’re going to explain more about the hyper potion, what it does, and where you can find it in Pokemon Go. What Does a Pokemon Go Hyper Potion Do? Pokemon Go is all about exploration. 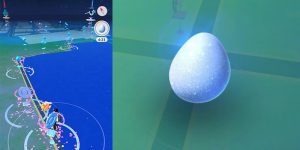 But with this exploration comes battles and gyms, an essential component of the game – particularly for those trainers who want to acquire the most powerful Pokemon in the game. Battles, especially at enemy gyms, can be difficult. 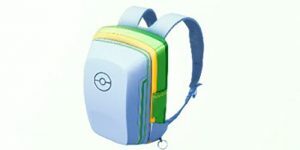 You need to be prepared, not only with powerful Pokemon but also with the best items, too. 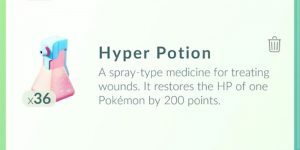 The hyper potion can prove enormously effective in this regard, an item that replenishes your Pokemon’s health by a massive 200 HP. The hyper potion becomes more and more important when you acquire powerful Pokemon. Strong Pokemon not only have higher HP, but they also have the capacity to survive more powerful attacks. Hyper potions are a necessary item as you advance through Pokemon Go. Where Can I Find Pokemon Go Hyper Potions? Trainers won’t be able to acquire hyper potions early in the game. At that stage, you don’t even need hyper potions. Most of the Pokemon you have that early will have HPs under 100. It’s when trainers reach level 15 that they can begin to acquire hyper potions. As your level 15 reward, players will receive 20 hyper potions. At this stage, as with all other forms of potions, you can find more hyper potions at any PokeStop. Hyper potions aren’t the best potion you can find, though. 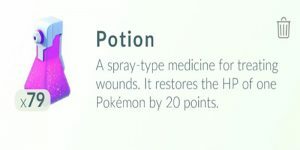 There are also Max potions which, as the name suggests, can restore the full health of your Pokemon. You will receive 20 Max potions when you reach level 25. Still further, when you reach level 30 you will receive 20 Max Revives. Max Revives restore the complete health of your Pokemon, even if that Pokemon has 0 HP. As with hyper potions, these other potion forms become available at PokeStops, too.